You know what can ruin a perfectly good Eggs Benedict? Watching a girl wearing sweaty yoga pants join the table next to you post [insert latest/trendiest workout] class for mimosas and toast, gluten free, of course. I understand the stress of squeezing in a workout pre-weekend gluttony. Getting from point A to point B without upsetting all parties and attempting to look like you didn’t just emerge from Tulum’s sweat lodge. The struggle is real. Whether you’re looking to find love on the tennis court or love in the club, these sporty little dresses are perfect for slipping on post calorie torching. Technically not a frocks… because, well, they’re not dresses, jumpsuits are panted versions of the maxi dress. 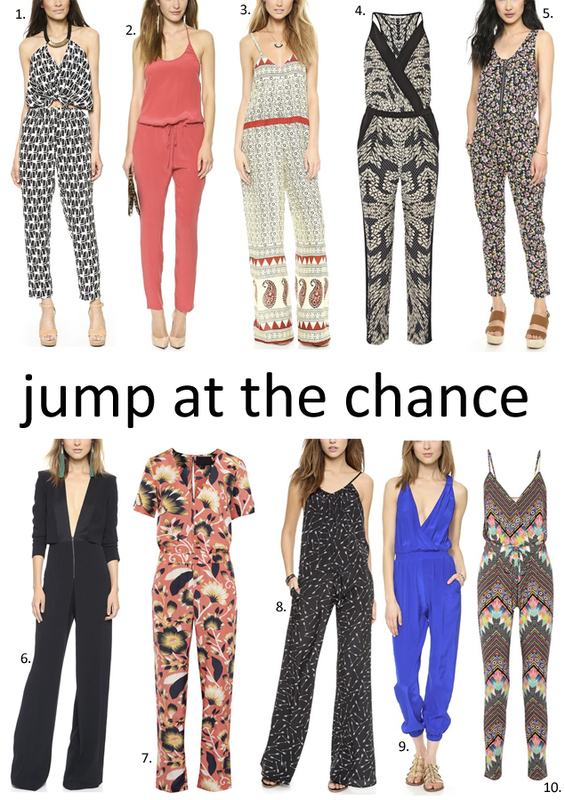 A jumpsuit can be both casual and comfortable as well as silky and sleek. Whether you opt for uptown or down, just fair warning: it’s going to be a struggle in the bathroom. Allow for extra time and be prepared for angry, full bladdered women to anxiously sigh while repeatedly interrupting your bathroom break with angry knocks as you try to free yourself from straps, belts, and other accoutrements. That aside, jumpsuits are kind of like wearing very stylish onesie pajamas out in public without attracting public scrutiny, plus you don’t need to bother shaving. Jump at the chance to wear one this weekend. So you’ve opted out of that flag bikini, but you are feeling festive and what better way to pledge your allegiance than a Fourth of July friendly frock? No need to swath yourself in an American flag. Isn’t that illegal anyhow? (Ask Lil Wayne). 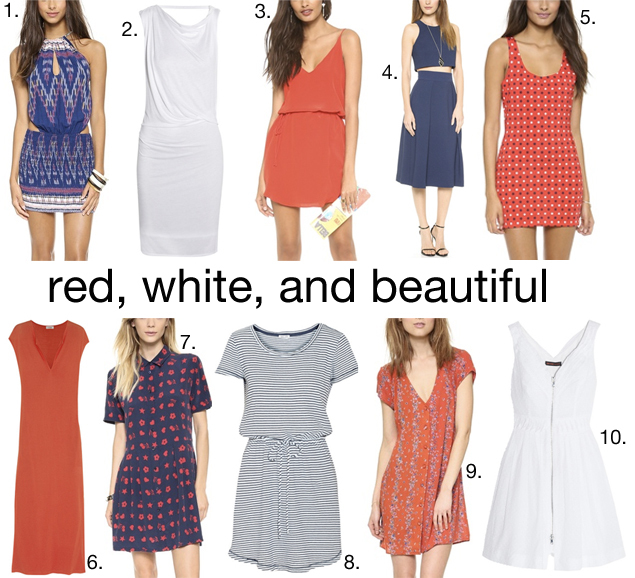 Instead of being entirely predictable and in the spirit of outfits that have longer shelf lives than summer romances, choose a dress in solid red, white, or blue, or pick a pattern combining the hues to be the biggest babe at the barbecue– potentially setting of some fireworks of your own. 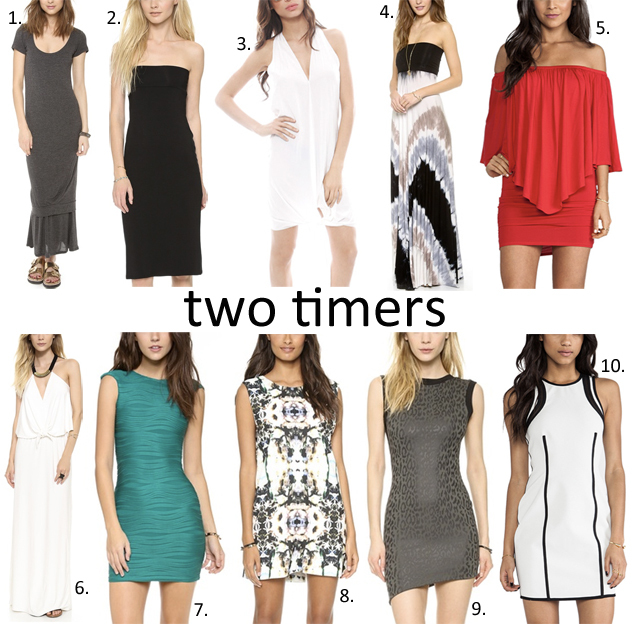 Not only are double duty beauty products helpful for packing, so are dresses that are multifunctional and able to be worn in more than one way. Whether it’s a maxi dress that moonlights as a skirt or a frock that’s altogether reversible, having options that take up half the space are magic in and of themselves. So, pack light, put your thing down, flip it, and reverse it.